Pacific Honda Blog: Should You Winterize Your Car in San Diego? Our friends up north have it easy. They have the first frost, or changes in the leaves, to remind them that winter is coming. That, in turn, is a reminder that it’s time for important stuff like snow tires and maybe a new battery. But Honda service is important even in warmer climates like Southern California. More important, in some ways, since we don’t get reminders from Mother Nature, so your San Diego Honda dealership is doing it for you. Here are the essentials -- each one a good reason to call 858-694-1000 or visit 4761 Convoy St. in San Diego, CA for maintenance. Your battery slowly loses power in the summer heat thanks to a process called self-discharge. That can lead to an unpredictable loss of power, which in turn can mean needing a jump-start, or spending big on a tow. Have your battery serviced instead. It’s cheaper. 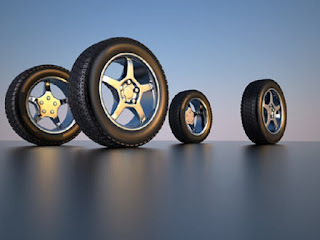 Your tires, like your battery, are influenced by temperature. As the thermometer drops, so does your tire pressure. Check it, and inflate to proper pressure to ensure good traction and gas mileage. While you’re at it, visit your Honda dealer for new Honda tires if the ones you’ve got have lost tread depth. There are other compelling reasons to visit your San Diego Honda dealer for maintenance with OEM Honda parts. Your fluids should be changed from time to time and topped off as needed. Your heat and AC should be checked, as should your brakes, belts, hoses, and filters. The Pacific Honda team is here for these needs and practically anything else pertaining to your Honda car, so call us or stop in today! Such a service will certainly come in handy for the winter. Recharge the batteries and refill all the liquids in the car, it should be done once a year. I am for leaving the car for the winter. A nice option I did not even see that is possible in San Diego, and what about the replacement car is something they give on the spot or, unfortunately, you have to deal with yourself? the option is very cool when it comes to maintaining the Honda in good condition and winter it may be severe, it is also worth protecting against such harsh frosts. Wow, very useful information. It's good to know where to go in those areas. As usual, mega good post! I like that. Greetings!